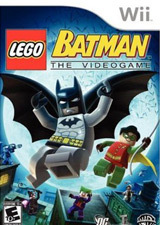 LEGO Batman: The Videogame is the latest game from the award-winning team behind the LEGO Star Wars series of games. With the LEGO fun and charm, the game takes you into the world of the ultimate crime-fighting hero. This Videogame brings the one-and-only Caped Crusader to life in a completely original storyline. Players will take control of the Dynamic Duo, Batman and Robin to fight Gotham’s City’s most notorious criminals including The Joker, The Penguin, Catwoman, Scarecrow, Killer Croc and many more. The criminals have broken out of Arkham Asylum and are set to wreak havoc on the city. With a collection of high-tech suits, gadgets and cutting-edge vehicles on hand, players will be able to step into the unique LEGO Batman universe to bring super villains to justice – or as the villains, to run amok in Gotham City! Adorable and honorable Ninjas populate vibrant, peaceful Ninjatown. The mysterious eruption of a nearby volcano is followed by an attack of hordes of sinister enemies lead by Mr. Demon, who is bent on destruction for unknown reasons. The Ninjas must use their unique skills and powers to fight evil and secure Ninjatown one district at a time. The Flickit revolution is now unleashed on Wii! Use the Wii Remote or Wii Remote and Nunchuk to string together your sickest tricks for the ultimate line. Deepen your gameplay by planting your feet on the Wii Balance Board. Ride with the pros & rake in sponsors on your way to becoming Thrasher Magazine’s Skater of the Year. Tap into the soul and grit of being on a board. 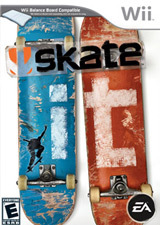 Skate It unleashes the Flickit revolution on the DS. Use the stylus to string together your sickest tricks for the ultimate line. Ride with the pros, own the best spots in San Vanelona, and rake in sponsorships on your path to becoming Thrasher Magazine’s Skater of the Year. Tap into the soul and grit of being on a board. Taking care of a baby is not always easy: bathing, bottle-feeding, changing diapers… But what joy when you see your baby smile! My Baby allows you to discover a marvelous adventure filled with emotion.